Welcome to Storey Lake! 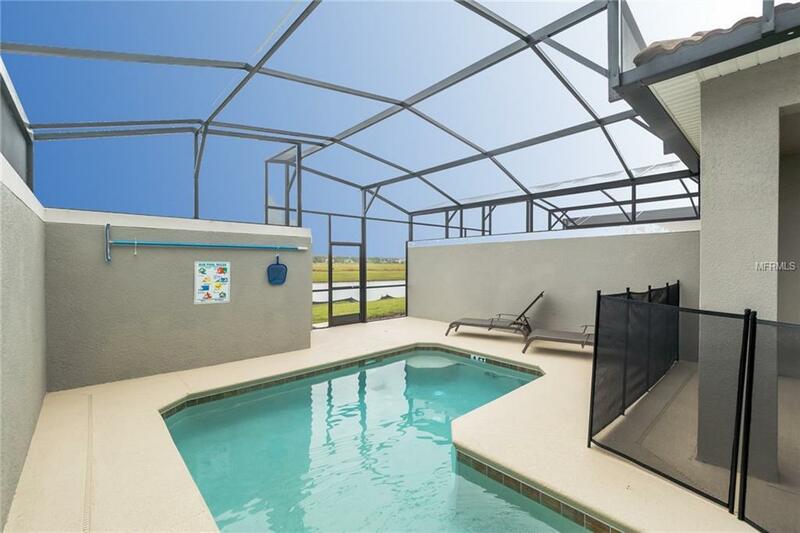 This 4 bedroom 3 bath townhouse sits on a beautiful lake view lot. Features include ceramic tile on the first floor and carpet in all the bedrooms and second floor. Granite countertops in kitchen and baths. Kitchen backsplash with 42 cabinets. Resort style amentines that includes lazy river, water slides, mini golf, pools, kayak/stand up paddle boards, tiki bar, and fitness center. Minutes from Disney, Universal Studios, Sea World, Premium Outlet, The Loop and much more. Location, Location, Location. Easy to rent out as an investment property or your personal vacation home! Currently property is rented at $2,100 a month until the end of June. Come check out this amazing property and community and start making money right away!